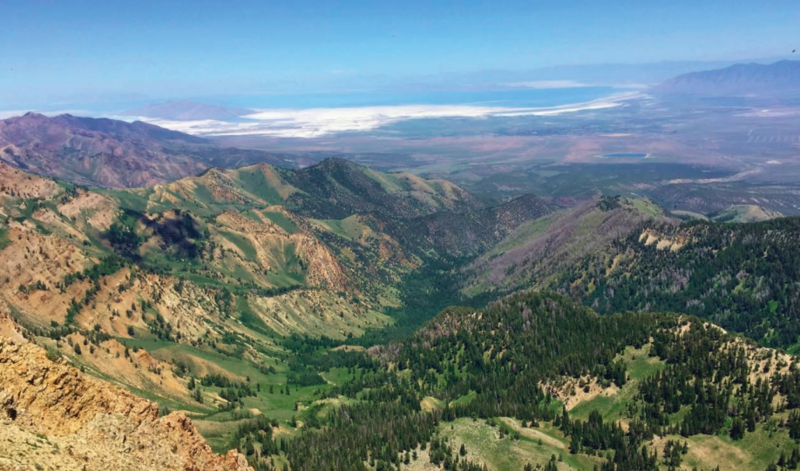 Watersheds on the Uinta-Wasatch-Cache and Ashley National Forests provide many ecosystem services, and climate change poses a risk to these services. We developed a watershed vulnerability assessment to provide scientific information for land managers facing the challenge of managing these watersheds. Literature-based information and expert elicitation is used to define components of watershed sensitivity and exposure to climate change. We also define the capacity of watershed function, habitats, and biota to adapt to the expected changes. Watershed vulnerability is scored high for the Wasatch Mountain Range and moderate to high for the Uinta Mountains. These watersheds are driven by a snow-dominated hydrologic regime, and they have a high sensitivity to the projected increases in drought, heat, and flooding. More evaporation, snowpack loss, and earlier snowmelt are expected to shift the timing of runoff earlier and lower streamflow. The loss of snowpack is projected to be especially pronounced in the Wasatch Range. The effects from climate change can be compounded by the non-climate stressors of fire and land uses. Adaptation to these changes is enhanced when watersheds are in good functioning condition. Management actions can serve as an iterative process that builds resilience and can assist transitions to new states under a changing climate.